Mix all the ingredients in a bowl except oil and half of the bread crumbs. Heat oil in a wok (kadahi). Make lemon sized balls of the mixture and roll each in the breadcrumbs. Deep fry them in hot oil till crisp and lightly browned. Serve hot with ketchup , chuttney or sweet and salted hung curd dip. Wash and chop cauliflower into small florets.Wash peas as well and keep both aside in a strainer to drain out excess water. Heat oil in a wok (kadahi) and crackle cumin seeds then add chopped ginger, garlic,onion and green chili and cook till the onions become brown in color. Now add tomato puree and cook till the masala leaves the sides of the pan. Add 2 tbsp water, turmeric powder and salt and cauliflower and peas. Mix well and cover with a lid. Cook on low flame stirring after short intervals till veges are almost cooked. Now add rest of the spices,grated cottage cheese,cream and ketchup and mix well. Cook further for 2 to 3 minutes till the veges are well cooked. Add chopped coriander and fenugreek leaves and mix well. Serve hot with chapati parantha , poori or naan. Mix butter and chopped garlic in a bowl. Spread it on bread slices and cook it either on a griddle pan, in a grill toaster or in OTG till it becomes crisp an brown from both the sides. Sprinkle some black pepper and serve. If you are cooking it in an OTG then spread the mixture on one side only otherwise on both sides. 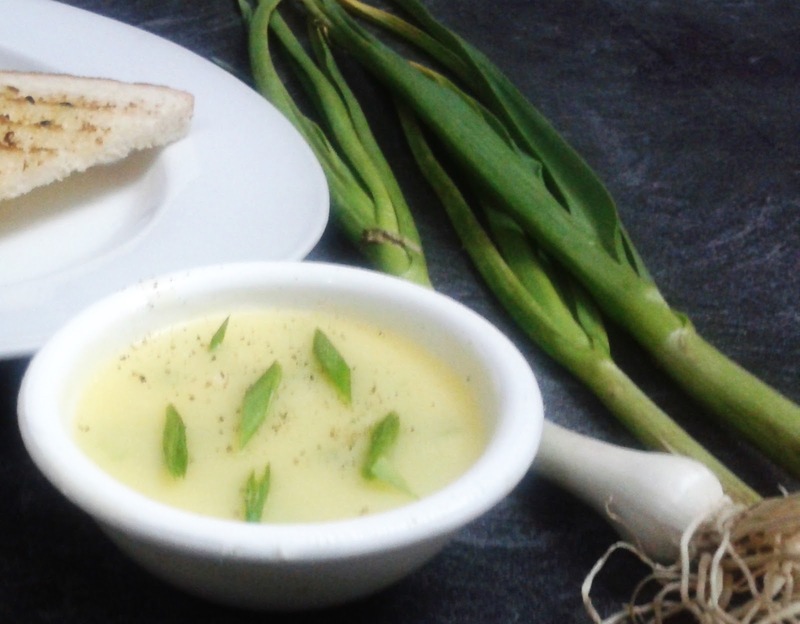 If green garlic is not available then add any chopped or dried herb of your choice like parsely,oregano, mint or coriander as per taste along with garlic. 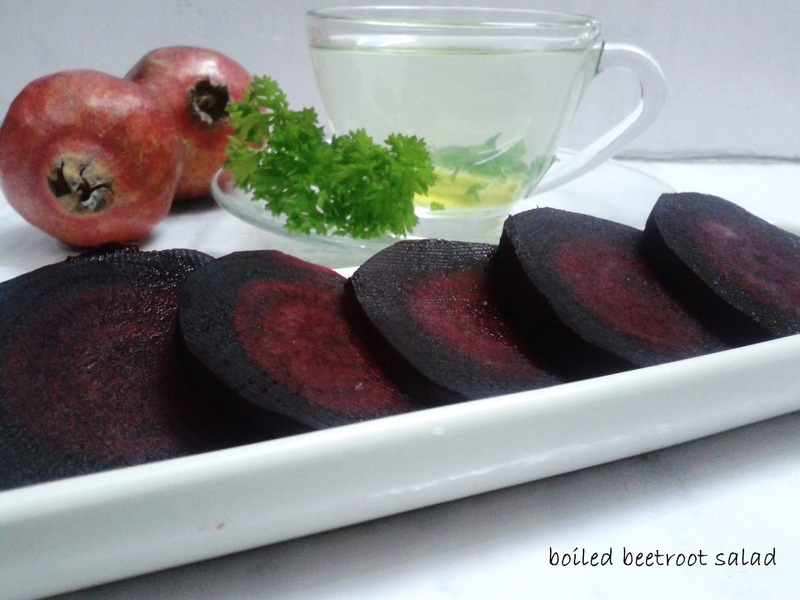 Beetroot is low in fat, full of vitamins and minerals and packed with powerful antioxidants. But it is not very good in taste when you eat it in raw form . The easiest way to make it taste very good is just put it in pressure cooker along with some water and give 2 whistles (in a 3 ltr. capacity cooker). Let the pressure release by itself and then take it out and let it be cool. then peel it, cut it in desired shape and serve it as salad with or without any seasoning or dressing. If the beetroot is big in size then you may need to give one more whistle. The key is not to over cook nor under cook. Soak saffron in 2 tbsp hot water and keep it aside for 30 minutes. Soak poppy seeds in warm water at least for an hour and after one hour drain out the water and grind it in a mixer grinder jar along with 3-4 tbsp water. Strain the mixture and collect the poppy seed's milk in a bowl.Discard the husk. Heat ghee in a heavy bottom pan and add poppy seed milk and almond paste to it. Otherwise bring milk to boil. Simmer on low heat for 5-7 minutes. Add the prepared paste to the milk stirring continuously until mixed well. Add sugar as per taste, cardamom powder and black pepper powder and mix well. Simmer further for 3-4 more minutes. 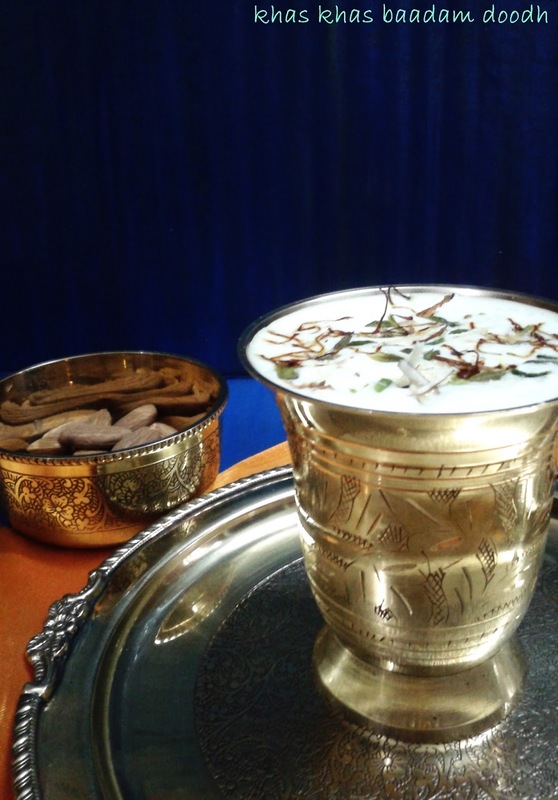 Take it off the heat and serve hot in serving glasses, garnish with slivered almonds, pistachios and saffron strands. Drinking this milk is very useful in cold and for sour throat but there is a bit sedation in this drink due to poppy seeds so drink this milk at bed time for two three days and see the difference in your condition. The prepared mixture is for 3-4 glasses so you can make the cooked paste and add cardamom powder and black pepper powder and store it in fridge and use as required (proportionately per glass). You can also use low fat milk if you prefer. Wash and chop cauliflower into medium size florets and potatoes into small cubes. keep aside. Heat oil in a kadahi (wok) and crackle cumin seeds then add onions, ginger, garlic and green chilies and cook till the onions start changing color. 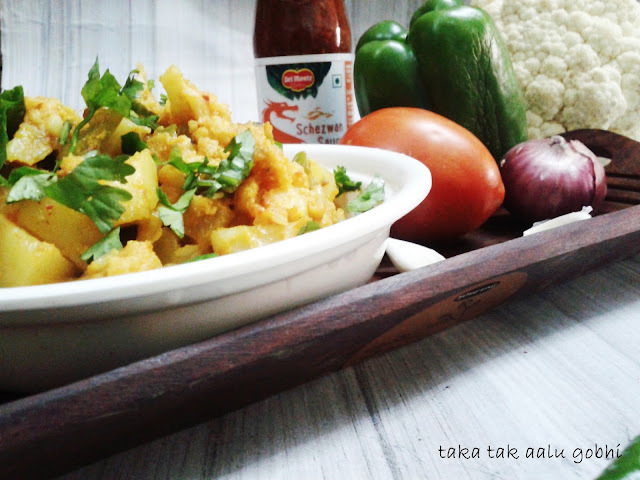 Now add chopped potatoes,cauliflower,salt and turmeric powder and mix well. Simmer the gas and cook under lid till the veges become tender stirring occasionally. If required add a tbsp. of water. Now add rest of the ingredients and mix well. 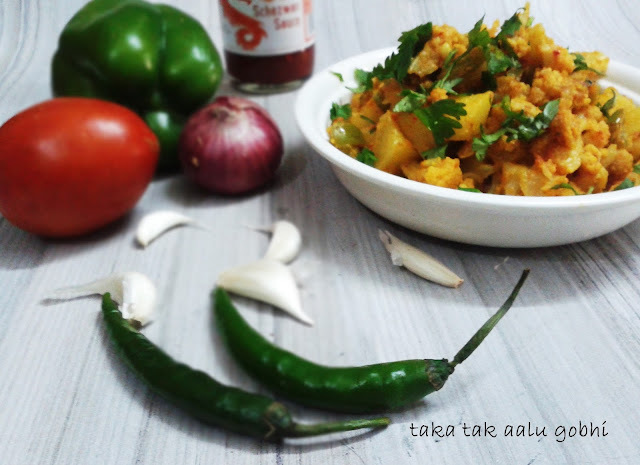 Cook further for 4-5 minutes till all the water present evaporates and all the spices coat aalu gobhi. Sprinkle chopped coriander and mix well, serve hot with daal and chapati or paranta or puri. If you like you can deep fry aalu and gobhi in hot oil and make a masala from rest of the ingredients and mix veges and masala. In that case more oil will be required. 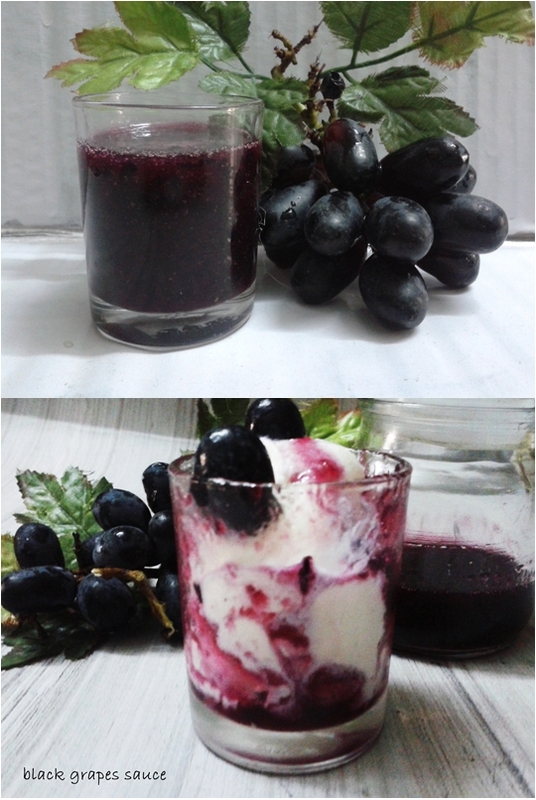 Wash black grapes and roughly chop them. Put them in a pan and add sugar. Cook for 5-10 minutes till you reach the desired consistency. Switch off the gas and let it cool then churn this with the help of a blender. Serve it chilled with vanilla ice-cream. You can store it in fridge for a week. Take wheat flour in a bowl and knead a soft dough using water as required like you knead for chapati. Keep aside for 10-15 minutes under damp cloth. Grate the radish and squeeze by pressing it tightly between your hands. Add grated ginger,chopped green chili, coriander leaves, carom seeds and all the spices and mix well. Do not add salt. Take a medium size ball dust it with some dry flour and roll it with the help of a rolling pin, place 1 tbsp full of stuffing on it. sprinkle salt to taste and gather the edges to seal the stuffing. Again dust it with some flour and roll it with the help of a rolling pin. Place it on a a hot griddle pan and turn the side after 1 minute. Cook from the other side for 2-3 minutes or till you see spots. 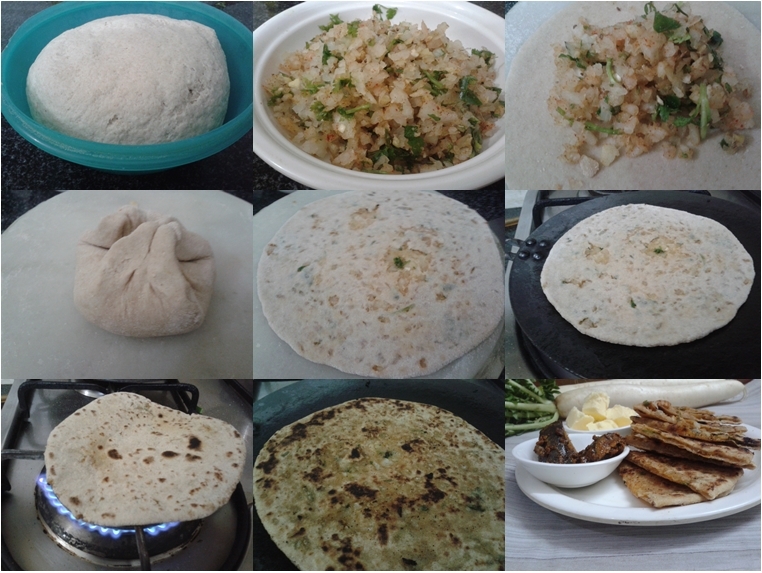 Now cook the first side directly on flame using a tong (chimta) then the other side as well like you cook the chapati. Take it off the flame and grease with some olive oil. 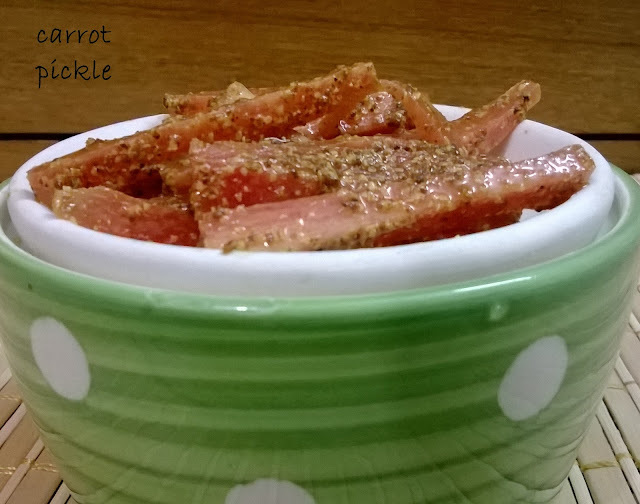 Serve hot with low fat butter and pickle or green chuttney. 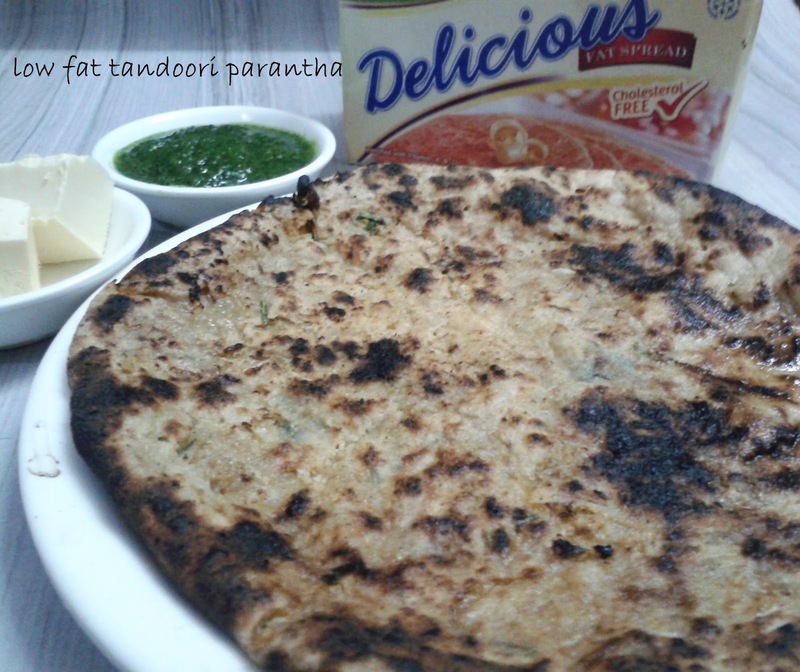 methi (fenugreek) parantha, paalak (spinach) parantha. Heat 1 tbsp oil in a pan and add chopped garlic,green chilies and onion and stir for a while. Now add mushrooms and capsicum and stir for 1-2 minutes. Add soya sauce,ketchup,salt and pepper and mix well. Now add cornflour dissolved in water and mix till the mixture comes together and switch off the gas. 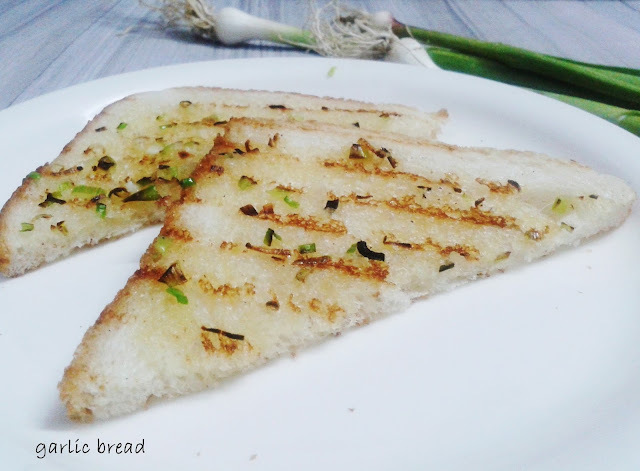 Take spoon full of mixture and spread on four slices of bread. Now spread mozzarella cheese on each and cover each with the remaining four bread slices. Now grease upper and lower side of each of the bread slice with little oil or butter and place them on a hot griddle pan and cook from both sides till crisp and brown in color. 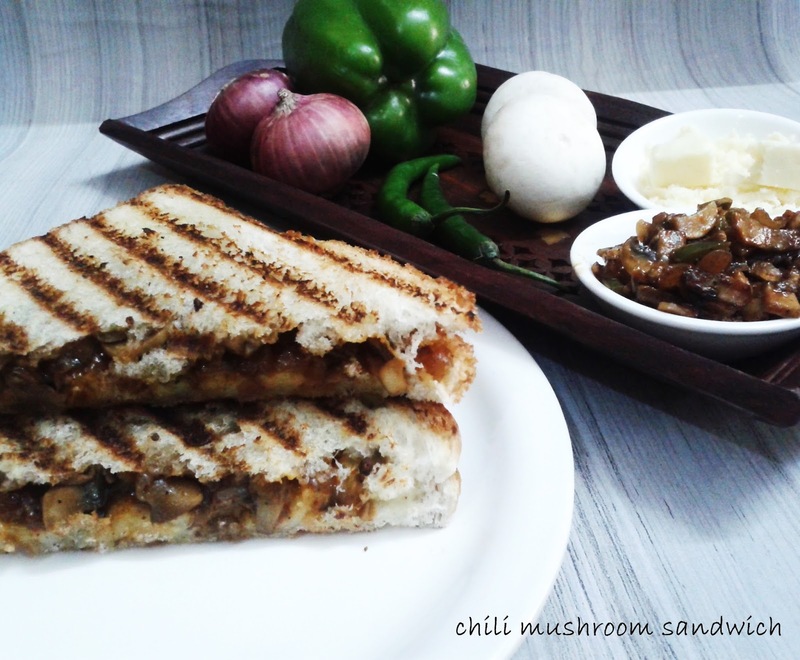 You can grill them in a sandwich toaster, oven or simply on tava(griddle) as well. Slice the cabbage into fine long shreds and keep shredded cabbage and peas in a big vessel full of warm water for 10-15 minutes. Then put it in a strainer and wash under running water and keep in the strainer for 5 minutes till all the water is drained out. Heat oil in a wok (kadahi) and crackle cumin seeds and slit green chili ,add ginger and stir for a while. 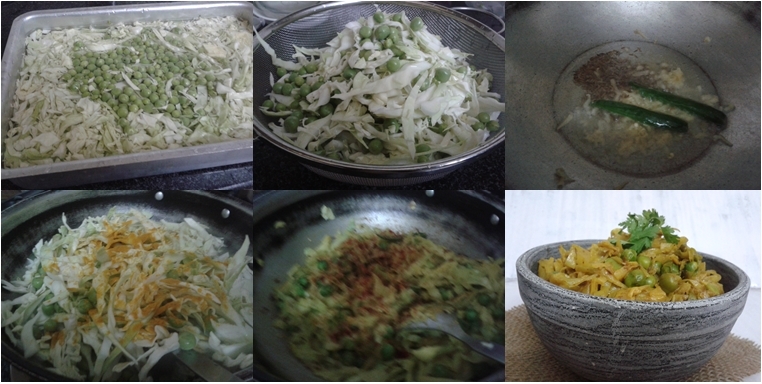 Add cabbage along with peas ,salt and turmeric powder and mix well. Cook on high heat for 3-5 minutes while stirring in between,then simmer the gas and cover the wok with a lid and cook further for 3-5 minutes till the veges are cooked but tender. Add rest of the spices and mix well. 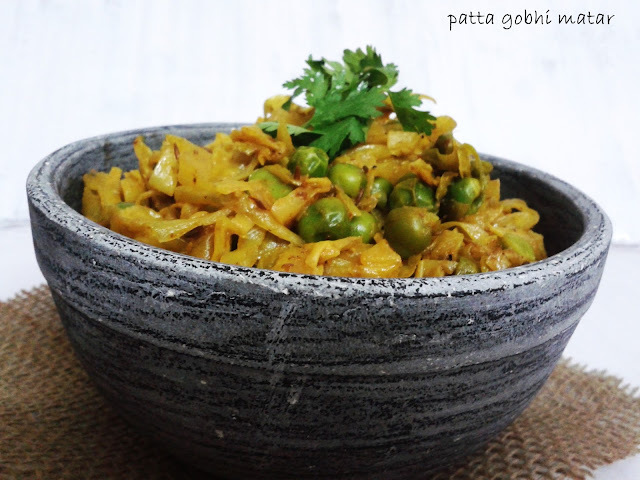 Garnish with chopped coriander and serve hot with chapati or parantha. Hard boil the eggs in water to which some salt has been added. When the eggs cool down, crack the shells and take out the boiled egg from the shell. Keep the boiled eggs aside. Heat oil in a pan and add cumin seeds, when they start to crackle add the onions and saute them till the onions turn golden brown in color. Now, add the pureed tomatoes,green chili, ginger and garlic to the onions. saute till the mixture leaves the sides of the pan. Now add all the spices ,kasuri methi and salt along with 2 tbsp water and stir for a while. Now add cashew paste and 3 cup water and simmer for 3-4 minutes. Then add cream or hung curd and cook further till the gravy thickens and you see specks of oil on the top. Slit the eggs into halves and add the hard boiled eggs in to the curry and switch off the flame. garnish the egg curry with coriander leaves. 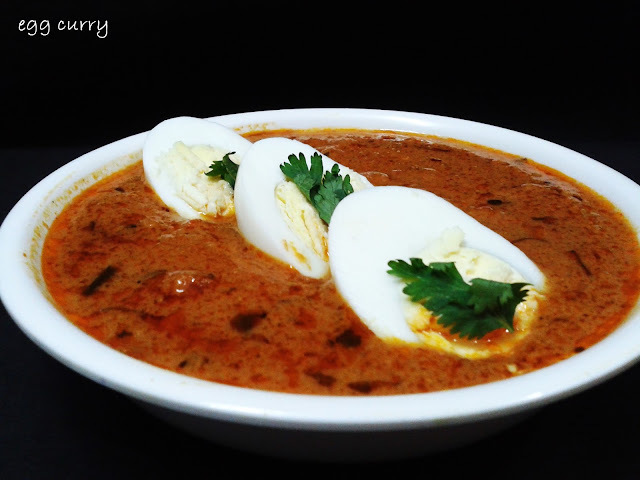 Serve egg curry hot with chapati,parantha or rice. Mix all the ingredients in a mixing bowl and knead a tight dough. Make small balls of the dough. Roll them into circular discs with the help of a rolling pin. Prick each with a fork and deep fry in hot oil till the pakwans are crisp and golden brown in color. Drain the pakwans on an absorbant paper to remove excess oil. Serve pakwan warm with chana dal . Rinse and soak the chana dal in water for 2-3 hours. Drain and cook the dal with 3 cups of water,salt and turmeric powder in a pressure cooker for 2-3 whistles. Add rest of the spices,tamarind pulp, sugar and salt to the dal. Cook for 8-10 minutes on a low flame or till you reach desired consistency. Heat oil or ghee in another pan. Crackle the cumin first and then add the green chilies ,curry leaves and asafoetida and saute further for a minute or two on a low flame. Pour this tempering over the dal. 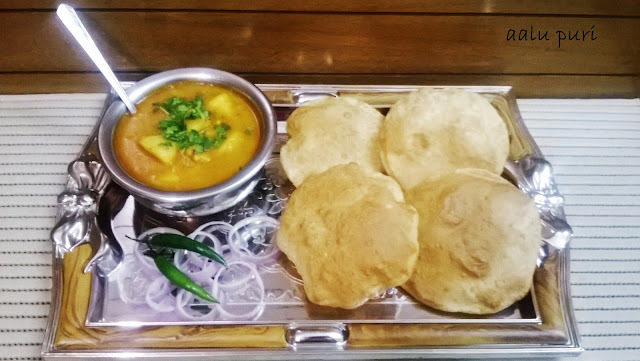 Mix well and serve the steaming hot dal with pakwan accompanied with some chopped onions, tomatoes,green chilis,coriander leaves and sweet tamarind chutney. Wash, peel and grate the carrots. Combine milk and grated carrots and cook them on a low to medium flame, bring the whole mixture to a boil and then simmer stirring in between. When the liquid present in the mixture evaporates add sugar and cardamom powder and cook further till the water released by sugar also evaporates.Don't make it completely dry, it should be of semi solid consistency. 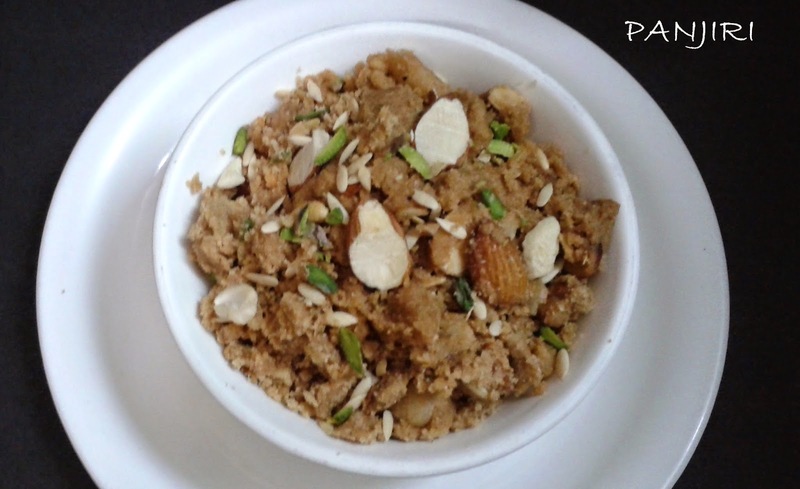 Take ghee in another pan and fry sliced cashews and almonds til the become light brown in color. Now carefully add the cooked mixture to the ghee and stir well and cook on a low flame for two three minutes. 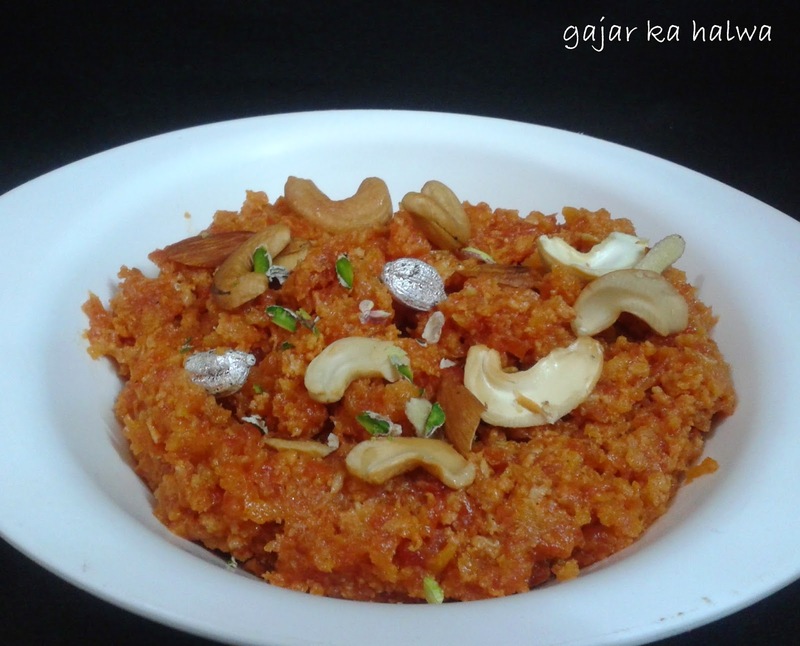 Gajar ka halwa is ready to be served. Wash garbanzo seeds . Take green garbanzo seeds,curd,green chilies,ginger,coriander leaves,seeds of green cardamom and grind them all together to make a fine paste. 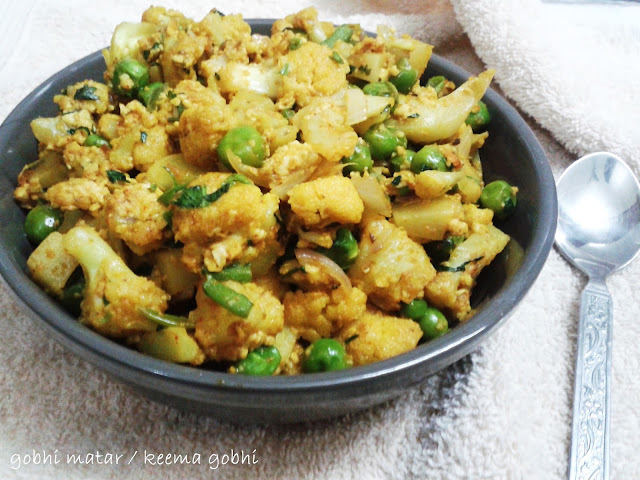 Heat oil or pure ghee in a pan and add hing, jeera,fenugreek seeds and mustard seeds in hot oil. When they start to crackle add coriander powder , red chilli powder and the prepared paste dissolved in curd along with as much water as required (3 cups approx.) and cook while stirring regularly. Once Kadi comes to boil put salt in it. Allow Kadi to cook for 10-12 minutes on a low flame. Turn off the gas, put garam masala in the Kadi and mix well. 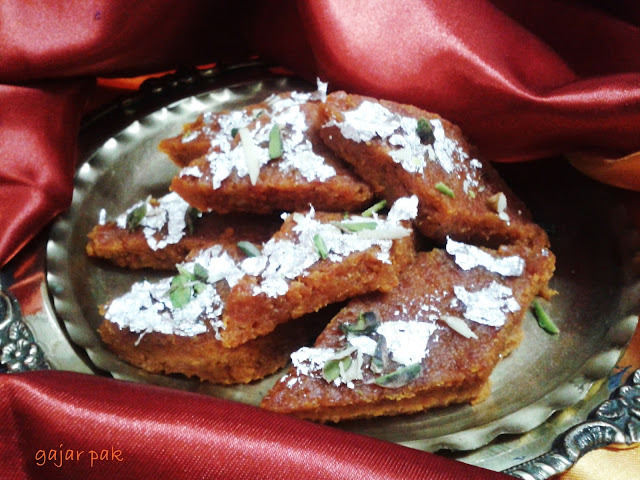 Hara Chana Kadi is ready, to be served with hot missi roti, chapati, naan or chawal etc. Heat one kg of pure ghee in a big wok and fry the makanas, drain them out and keep them aside. Now add rest of the ghee as well and let it melt, then add wheat flour to it. 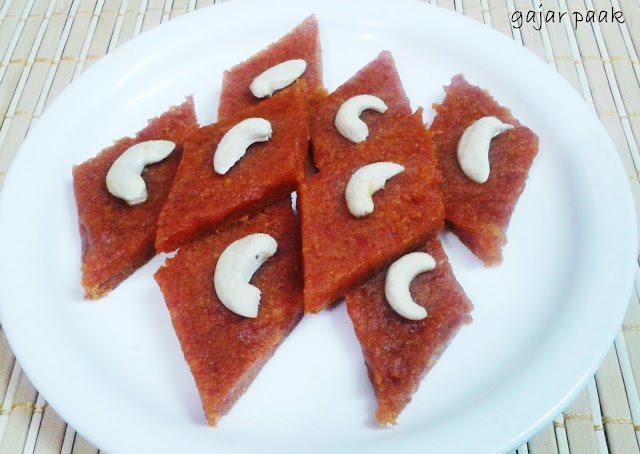 Cook the flour on medium heat stirring continuously till it turns brown and leaves ghee. Keep a hand full of each type of dry fruit aside for garnishing and add rest of the dry fruits along with all other ingredients except bura sugar and turn off the gas. Now add bura and mix well. Pour it out in a big steel drum and garnish with dry fruits. 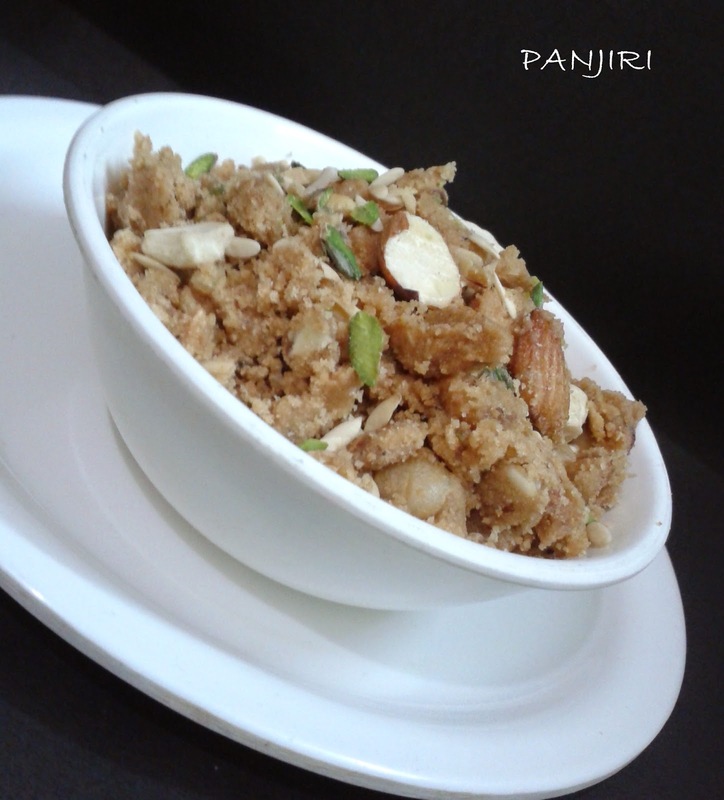 Cover the box with a muslin cloth till the panjiri is hot, cover it with lid only after it is completely cool. Serve lukewarm panjiri in the desired quantity. Take 8 cups of water,one tsp salt and 1 tsp of oil in a big vessel and bring it to a boil. Now add the noodles and cook for exactly as per instructions on the pack or till the noodles are perfectly cooked neither under cooked nor over cooked and drain out hot water . Immediately put the noodles in cold water then drain out the cold water as well and keep the noodles in a strainer so that excess water drains out completely. Sprinkle flour on the noodles, it will absorb any water present in the noodles. Divide the noodles in three equal portions and fry one portion at a time and make three nest like bunches.Fry from both the sides by turning side while frying. When it becomes crisp from both the sides drain it out and keep it a side. Heat oil in a pan add all the vegetables,salt and pepper in it and stir for two minutes. Add vinegar,soya sauce,tomato sauce and cook for one minute and add 2 cups of water. When the water starts boiling add the cornflour dissolved in 1/2 cup water stirring continuously. Cook for 2 minutes and keep a side. 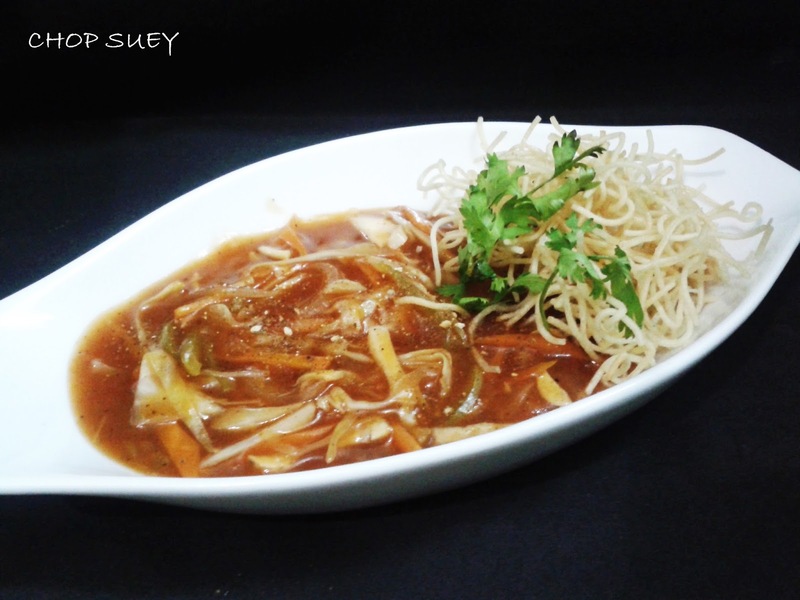 At the time of serving break one bunch of noodles into small pieces in a serving dish and the prepared sauce with vegetables in another serving dish, sprinkle some Chinese seasoning over the sauce and serve hot. Cut the yam into 1/2" cubes and rinse them well in water. Keep these yam pieces in a strainer till all the excess water is drained out. Heat oil and deep fry yam pieces till they become brown in color. Drain out from oil on an absorbent paper and keep them aside. Heat 2 tbsp oil in a pressure cooker and add cumin seeds, when they start to crackle add chopped onion,ginger garlic and green chilies. Cook till onions become light brown in color, now add pureed tomatoes and cook till the masala leaves the sides of the cooker. Add all the spices and salt and stir for a while. Add 3-4 cups of water and give a stir. Add yam along with peas and pressure cook for 3-4 whistles or till it is done. When the pressure releases take it out in a bowl, garnish with chopped coriander and serve hot with chapati or rice. 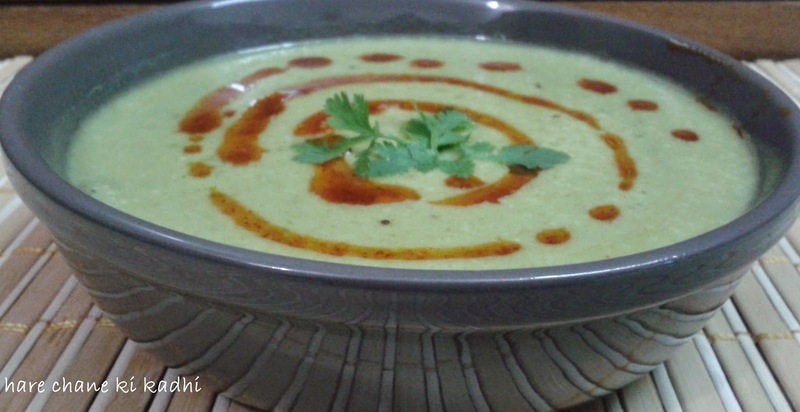 Heat ghee or oil in a pressure cooker and add asafoetida,cumin seeds,mustard seeds,curry leaves,ginger and green chilies. Stir for a while and add pureed tomatoes. sabzi masala or kitchen king,sugar and salt and cook for a minute. Add 4 cups of water and the potatoes and pressure cook for 3-4 whistles or till the potatoes are cooked completely. Open the lid and simmer the aloo sabzi by pressing a few cooked potatoes with the ladle on the sides of the cooker. This is to get a slightly thicker consistency of the gravy. the starch from the potatoes makes the gravy a little thick. Now add fennel powder and dry mango powder and cook till you get the desired consistency. Sprinkle chopped coriander and serve hot with ajwain ki crisp puri or urad dal puri , methi puri , tri colored puris onion,green chili and pickle . Peel wash and cut carrots in to thin slices. Coarsely grind mustard seeds in a mixer. Combine all the ingredients, except the oil, in a bowl and mix well. Keep aside. Heat the mustard oil in a small pan, add it to the carrot mixture and mix well. 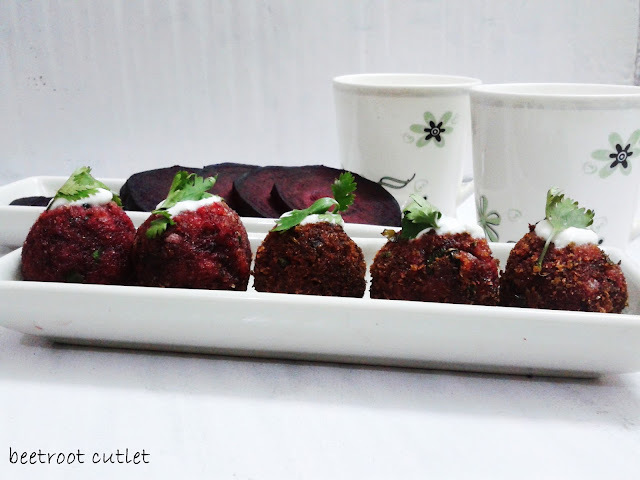 Serve immediately or keep refrigerated till use. This pickle stays fresh for 3 to 4 days. 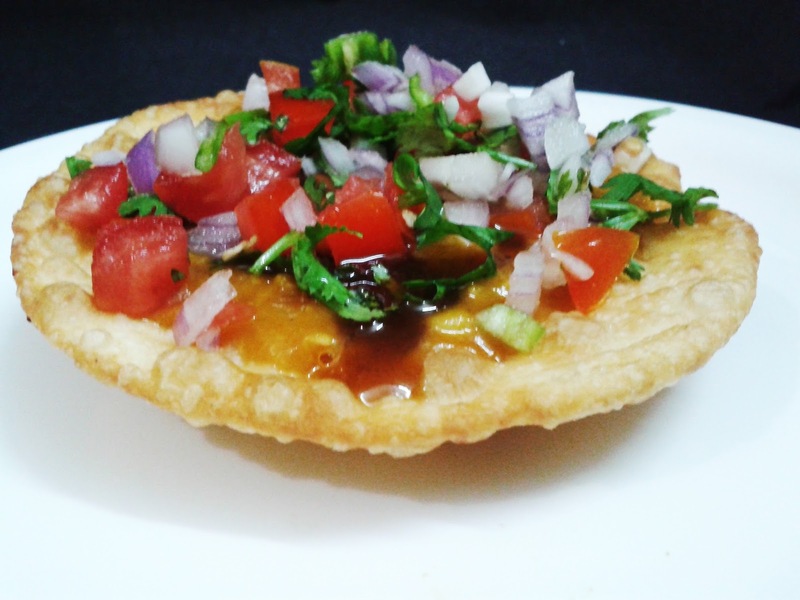 This goes realy well with aalu puri or bhature chole. Peel ,wash and grate the carrots. Heat 2 tbsp ghee in a kadahi and cook grated carrots in ghee stirring occasionally till all the water present in carrots evaporates. It will take approximately half an hour. Now add sugar and cook till the water released by the sugar also evaporates stirring continuously. Now take another pan and roast khoya/mawa in one tbsp of pure ghee till it becomes completely dry and statrs changing color. Switch off the gas and mix roasted carrots,khoya/mawa and cardamom powder very well with the help of a potato masher. Grease a thali or a rectangular plate with ghee and spread the mixture evenly on it. When it cools down keep it in the fridge. When it is set, cut it in the desired shape and serve. You can store it in a container and consume it within a week.